Francesconi, G.N., Wouterse, F. (2017) “A new generation of cooperatives for Africa”. CIAT Policy Brief No. 37. Centro Internacional de Agricultura Tropical (CIAT). Cali, Colombia. 4 p.
Francesconi, G.N., Wouterse, F. (2017).”Principles and Metrics for Cooperative Agribusiness in Africa”. CTA/CIAT-CGIAR and IFPRI-CGIAR. Francesconi, G.N., M. L. Cook, K. Livingston (2015).”A Policy Note on Agricultural Cooperatives in Africa”. CIAT, University of Missouri and OCDC. Borzaga, C., G. Galera, R. Bodini, G. T. Abate, Z. Dossa, G.N. Francesconi and R. M. Ochanda (2014). “The Potential of the Social Economy for Local Development in Africa: an Exploratory Report”. Directorate-General for External Policies of the European Union, Policy Department, EU Parliament. Wanyama, F., C. Poulton, H. Markelova, C. Dutilly, J. Bjiman, G.N. Francesconi, T. Bernard, M. Cook, O. Badiane and F. Wouterse (2014). “Collective Action among African Smallholders: Trends and Lessons for Future Development Strategies”. IFPRI Thematic Research Note n.5. Wouterse, F. and G.N. Francesconi (2016). “Organisational health and performance: an empirical assessment of smallholder producer organisations in Africa”. Journal on Chain and Network Science, Wageningen University. Francesconi, G.N. and F. Wouterse (2015). “Promoting the Role of Farmer-Based Organizations for Value Chain Integration: the Tension between a Program’s Targeting and an Organization’s Investment Strategy”. Agricultural Economics the Journal of the IAAE. Francesconi, G.N. and F. Wouterse (2015). “The Health of Farmer-based Organizations in Ghana: Organizational Diagnostics and Policy Implications”. Journal of Development Studies. Francesconi, G.N. and R. Ruben (2014). “FairTrade’s Theory of Change: an Evaluation based on the Cooperative Life Cycle Framework and Mixed Methods”. Journal of Development Effectiveness. Abate, G.T., Francesconi G. N. and Getnet K. (2014), “Impact of Agricultural Cooperatives on Smallholders’ Technical Efficiency: Evidence from Ethiopia”. Annals of Public and Cooperative Economics. Francesconi, G.N. and R. Ruben (2012). “The Hidden Impact of Cooperative Membership on Quality Management: A Case Study from the Dairy Belt of Addis Ababa”. Journal of Entrepreneurial and Organizational Diversity. Francesconi G.N. and F. Wouterse (2011). “The Renewed Case for Farmers’ Cooperatives: Diagnostics and Implications from Ghana”. IFPRI discussion paper n.01129. Salifu, A. and G.N. Francesconi (2010). “A review of Farmer-Based Organizations in Ghana”. IFPRI discussion paper n.00998. Francesconi, G.N. and N. Heerink (2010). 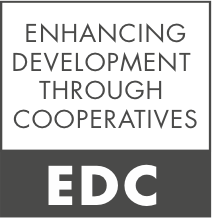 “Ethiopian Agricultural Cooperatives in an Era of Global Commodity Exchange: Does Organizational Form Matter?”. Journal of African Economies. Francesconi, G.N., N. Heerink, M. D’Haese (2010). “Evolution and challenges of dairy supply chains: Evidence from supermarkets, industries and consumers in Ethiopia”. Journal of Food Policy. Francesconi, G.N. (2009). “Cooperation for Competition: Linking Ethiopian Farmers to Markets”. Volume 5 of International Supply Chains and Networks Series, Wageningen Academic Publishers. Francesconi, G.N. and R. Ruben (2008). “The Life Cycle of Agricultural Cooperatives: Implications for Management and Governance in Ethiopia”.Journal of Rural Cooperation.